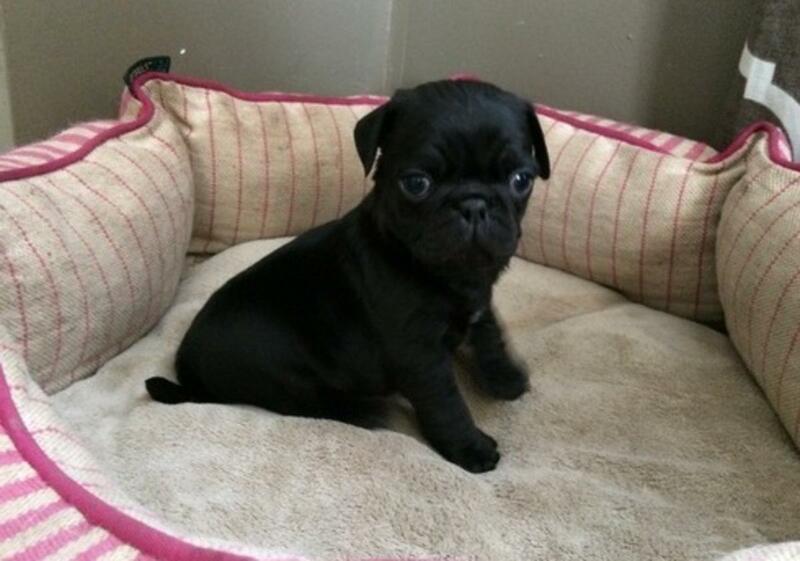 Exceptional Black & Fawn Pug Puppies Ready Now!!!! 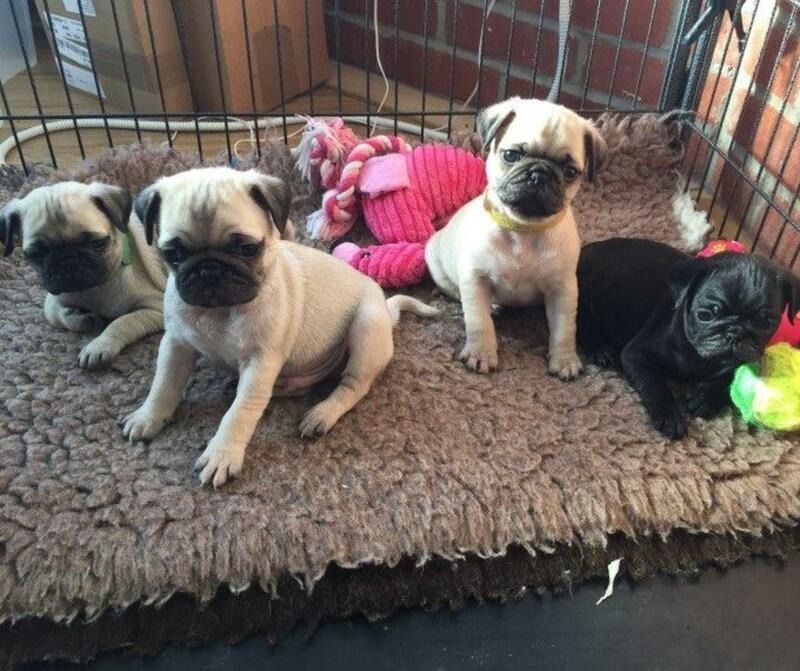 We have for sale a fantastic litter of KC registered Fawn & Black pug puppies. These puppies were self whelped and have been raised in our family home and are being socialised with our other dogs and all the familiar sounds of our home and our children. 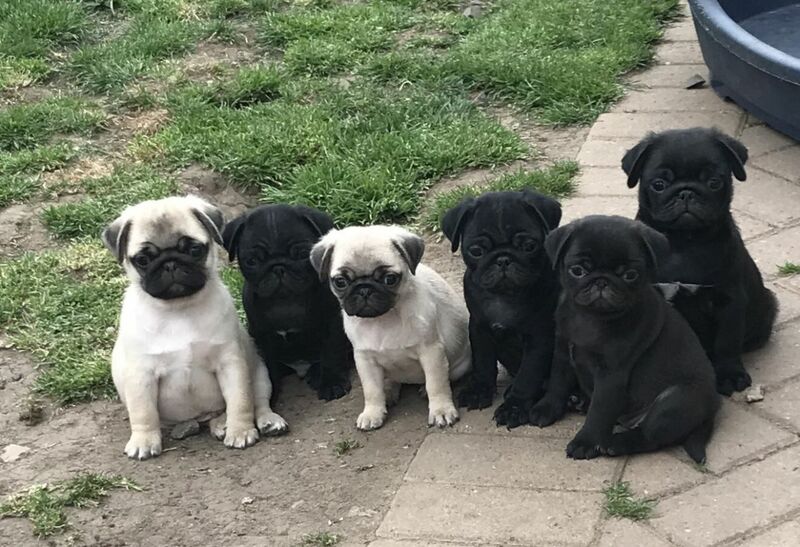 They are being litter trained and weaned on royal canin food.These puppies will come with their first and second vaccination, microchipped, wormed, insured and have a full veterinary health check. They can be viewed with their mum and pictures of their dad will be provided. This is a very carefully planned mating with a very low co efficiency, mum is a fawn and dad is a very rare U.K. kennel club registered black and so the puppies will be black carriers and will not be endorsed. Both mum and dad have champions within their lines and mum has both eastonite and tsuselena in her pedigree.